April 12, 2019 - Like us now! 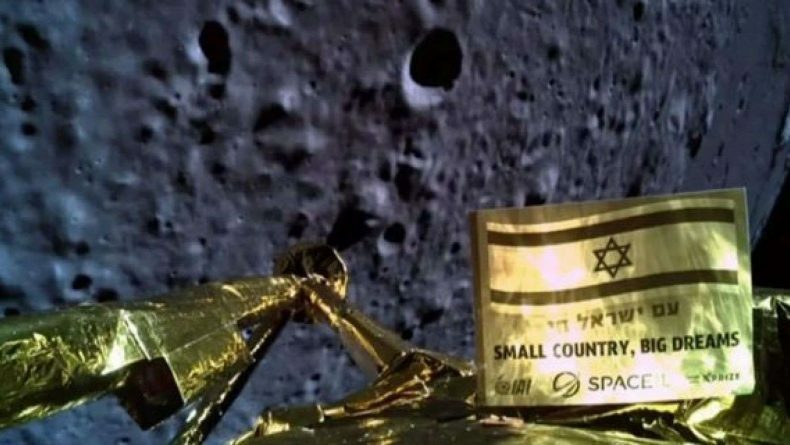 With only three countries, having achieved the feat of sending a mission to the Moon – the USA, the former Soviet Union, and China – the state of Israel was also hoping to count itself as a member of this exclusive club. However, it will certainly have to wait a bit longer, as its first-ever Moon mission ended in failure. The spacecraft designed for this grand purpose was called Beresheet, which literally means “in the beginning” in Hebrew. As an interesting aside, it is also the first word of the Torah. Designed by SpaceIL and Israel Aerospace Industries with $100 million worth of private funding, the 1,300-pound dishwasher-sized spacecraft appeared to be all set to make Israel the fourth nation to conquer our lunar friend on Thursday. However, things started going downhill right away, as Beresheet lost communications with the control room back in Israel. While the flummoxed engineers tried to recover communications, the program was dealt yet another blow: the main engine failed. At that point in time, Beresheet was moving along at approximately 2,110 mph and was an agonizing 120 kilometers from its final destination. Naturally, the doomed spacecraft crashed into the lunar surface thereby vanquishing not just years of effort and millions of dollars in funding, but also an entire nation’s hopes. However, manager of Israel Aerospace Industries’ Space Division Opher Doron managed to remain calm and optimistic in spite of the ordeal. This wasn’t Beresheet’s first taste of outer space; the spacecraft was also launched aboard SpaceX’s Falcon 9 rocket in late February. It went on to travel the full 4 million miles to the Moon before eventually entering orbit around it.